Super mini locator v303 is a very small GPS Tracker device, suitable for small children and seniors that you can keep track of, from your mobile phone. The device has an SOS Emergency Button so children, elderly people can ask for help in case of danger. Once the SOS button is pressed, the device will send Sms with three photos and the location you find, and will automatically dial the phone numbers SOS you have registered to the device as emergency phones. 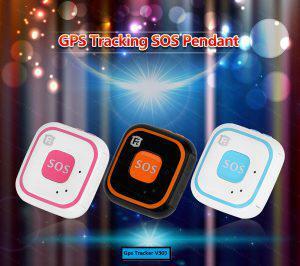 Super mini Gps tracker device that you can place at any point. It has the ability to locate it via Gps or via LBS, A-GPS, that is, with a position that will get from the cellular antennas.